We are delighted to announce a new partnership with Beechfield Healthcare Ltd, based in Portlaoise and Dublin, who are well equipped to handle all your sales and servicing enquiries in Ireland. Please visit their website beechfieldhealthcare.ie for their contact details. 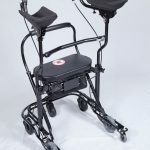 The U-Step is a seven-wheeled walking frame with reverse acting brakes designed specifically for people with neurological conditions such as Parkinsons Disease, PSP and Ataxia. It is also available with optional laser and audio external cueing system. 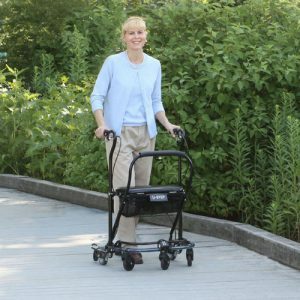 We are the UK distributors of the U-Step walking stabiliser and the LaserCane walking stick. 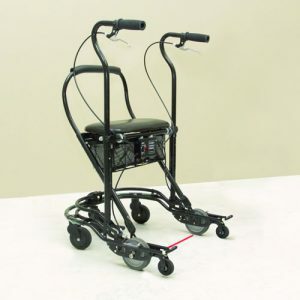 We are adding to our range of products that will help make life easier for you. All products come with a two week no quibble money back guarantee if you are not completely satisfied. 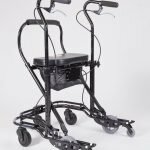 The U-Step and LaserCane are available for a limited trial for health professionals at hospitals and departments. Alternatively, contact us for individual assessments either at your clients home or in clinic.